The 2019 Chevy Traverse is a big SUV with a big personality. Grille to bumper everything about the 2019 Traverse delivers confidence and convenience to everyone who is blessed enough to drive it. Big. Bold, and beautiful are only some of the ways to describe this sleek and stylish SUV for that is perfect for an everyday family vehicle. When it comes to a vehicle that is ideal for a family, safety is not up for negotiation. Not only did the Traverse of years past receive a 5-star overall vehicle safety rating from the National Highway Traffic Safety Administration, but it even received an award for the most dependable midsize SUV and one of Edmunds top 10 best vehicles for the family. 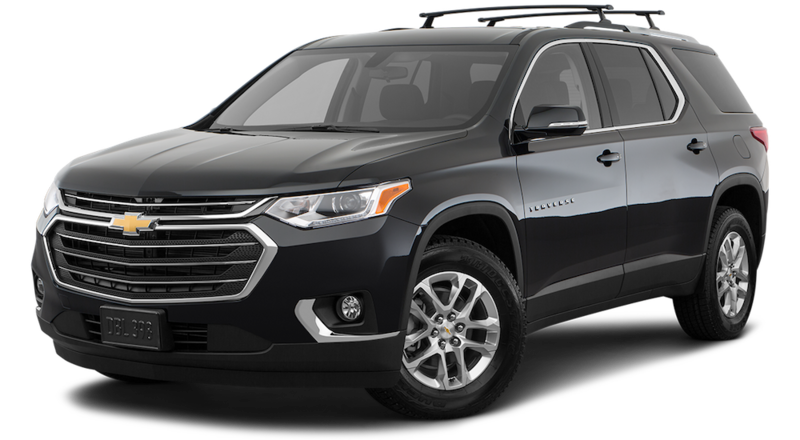 The Traverse can fit up to eight passengers comfortably and offers a cabin that has a number of integrated features that will help with connectivity, entertainment, and comfort. Quiet as a mouse and comfortable as your own house, the Traverse is the ideal home away from home. You will also never need for additional power with up to 310 horsepower and 5,000 lbs of towing potential. As strong as it is stylish, the 2019 Chevy Traverse is ready to change how you live your life. Safety is all about giving drivers the peace of mind to confidently go out into the world and experience everything it has to offer. In order to grant driver’s this piece of mind, it is not enough to just provide them with reactive safety features that will protect if they get in a crash, like an airbag system, a vehicle must focus on preventing the crash from even happening through advanced active awareness technology. The 2019 Chevy Traverse is a family-friendly vehicle, and over the years past generations have gained recognition for its dependability and have received countless 5-star ratings from the National Highway Traffic Safety Administration. The 2019 Traverse is not taking any chances and has implemented a plethora of awareness safety options for your protection in the front, back, and rear of the vehicle. In the front there is Front collision alert, front pedestrian braking, forward automatic braking, and low speed forward automatic braking. On the sides there is lane keep assist with departure warning and lane change alert with side blind zone alert. Lastly, for everything behind you there is a rear vision camera with rear cross-traffic alerts and rear park assist. Basically, between all of these you should have full awareness of everything happening in your vicinity and be able to maneuver accordingly. Safety is something every driver must take into account before investing in any vehicle, because it can mean the difference between life and death. That is why the 2019 Chevy Traverse leaves not a single safety feature out. The 2019 Chevy Traverse is a large vehicle, and that means it is going to require some serious power to back it up. This is why the 2019 Traverse offers two engine options that will keep it going for many years to come. That main engine that you will find in nearly all 2019 Chevy Traverses is a 3.6L V6 engine that delivers 310 hp and 266 lb-ft of torque. This options is the standard and the only engine available for every trim level except the RS FWD model and comes with Variable Valve Timing, Spark Ignition Direct Inject and Stop/Start technology. This engine is paired with a 9-speed automatic transmission that will allow you to feel as if you are handling a vehicle of half its size. With this engine you will gain up to 5,000 pounds of towing capability. The alternative engine option is a 2.0L 4-cylinder engine with 255 hp and 295 lb-ft of torque. This engine is only offered with the RS FWD and also comes with Variable Valve Timing, Spark Ignition Direct Inject and Stop/Start technology. This also comes with a 9-speed automatic transmission. In addition to the engine options, you will also be equipped with a traction mode that can allow you to adapt to difficult terrain with just the turn of a dial. Measuring to be 204″ L x 79″ W x 71″ H, the 2019 Chevy Traverse is classified as a midsize three-row SUV. The 2019 Chevy Traverse is the type of SUV that others will envy as they steal glances. It is noticeably sleek with dynamic accents that highlight some of its more commanding and refined features. The grille with the signature Chevy bowtie offers a lot of class to the appearance alone with the slim and sharp light fixtures. The wraparound rear window is also something to be admired as it allows for the entire Traverse to come together and look as if it is one harmonious piece of art. Not a single detail is overlooked or ignored as the essence of what the 2019 Traverse is meant to be is clearly displayed with just one look at its stunning exterior. What is the Traverse meant to be you might ask? Everything you could possibly need it to be and more. The 2019 Chevy Traverse is a large family-friendly midsize SUV that offers a cabin that is designed to be flexible and spacious with a number of luxurious amenities. Where to even start is honestly a difficult choice with everything the interior of the 2019 Traverse has to offer, but the best place seems to be with the dynamic cargo space. The cargo area of the 2019 Traverse offers a maximum of 98.2 cubic feet when all seating is down, but with the seating up will still have 23 cubic feet of space to utilize. The cabin of the 2019 Traverse will accommodate up to eight passengers with its three rows of seating. This is divided into two separated front seats and two rear 60/40 spilt bench seats. You are free to use this cargo space however you desire and split it any way you feel works best. Put it all down for DIY project supplies, put it partly down for a beach trip, or keep it all up for the weekly carpool. Accessing the cargo area is fairly effortless with the available easy-to-use flat-folding power seats. Sometimes though, even that isn’t enough. Luckily there are even more storage areas throughout the cabin like in the large center console. There are actually two hidden storage areas: under the rear cargo floor and behind the infotainment screen. No matter what you need the space for, the 2019 Traverse has got you covered. Moving away from storage, the cabin is also filled with comfort and refreshing amenities. The 2-panel sunroof that stretches throughout the cabin truly opens up the cabin and gives it a whole new atmosphere of fresh air and natural warmth. If you want to make things a little more cozy and close up the cabin, you will notice that noise-canceling features are everywhere so that you can keep the roar of the outside where it belongs. The available plush leather seating is also a can’t miss option that uses premium stitching and can offer heating and ventilation for those long hot days at work and cold winter mornings. Additionally, in the cabin you will find an integrated infotainment system that allows you to connect with your smartphone to play music and make hands-free calls and texts. This system will make your life easier in more ways than you can count and every day with it will be a new discovery. The 2019 Chevy Traverse is evidence that it truly is what is on the inside that matters. 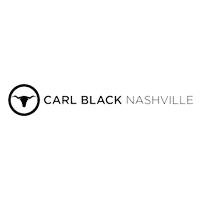 At Carl Black in Nashville, we believe buying a new vehicle should be an exciting experience for everyone involved. With this one purchase you will be investing in a way to explore this amazing world around us and partake in all it has to offer. Sadly the buying process has been tarnished with the stigma of shady dealers, lackluster service, and time-consuming research and negotiations. That is why we are fighting to do everything we can to show drivers that this can be a fun process with the right dealer. The first thing we offer to make things easier is transparency. What you see and hear is what you will be getting, games are for arcades, not a dealership. We also offer our expertise that has been cultivated through years of passion and many resources that we also offer to every driver through our site. We are on a mission to allow for car buying to be what it was always meant to be, a moment of pure joy and excitement.